The LVTC research group, a member of the ELC network, organised in Vigo (24-25 May 2018) the international conference “Modelling the linguistic architecture of English: theories and methods”. The ELC network was established in 2006 under the coordination of Prof Teresa Fanego and comprises five research teams based at the Universities of Santiago de Compostela and Vigo. This conference was intended as a discussion forum which brought together senior and junior scholars and researchers from different countries for the purpose of presenting new strategies and methodologies applicable to the theoretical and empirical description of language(s), with a focus on English. 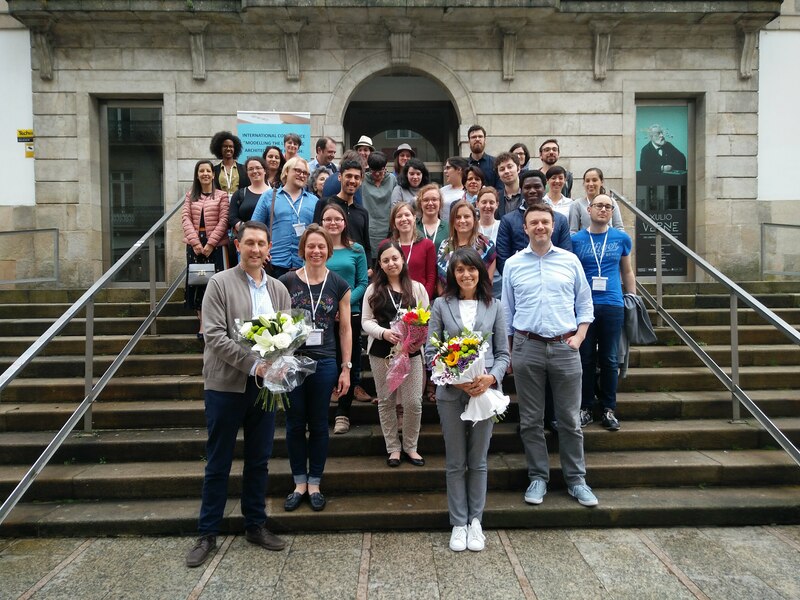 The conference, chaired by Teresa Fanego, Javier Pérez-Guerra and Elena Seoane, consisted of presentations by predoc, postdoc and junior lecturers from Belgian, English, Finnish, German, Scottish, Swiss and Galician institutions and plenary talks by four invited speakers. Prof Paul Baker (Lancaster University) presented his corpus-based investigation on the ways in which contemporary British and American English are changing over time, with a focus on the similar paths followed by these variaties. Prof Stephanie Hackert (Universität München) dealt with the diachronic approaches which can be applied to the grammatical explanation of postcolonial Englishes, with data retreived from newspaper collections of Caribbean and Indian English from the first half of the twentieth century onwards and a letter corpus of vernacular late nineteenth-century Caribbean English. PD Dr Gerold Schneider (Universität Zürich / TU Dortmund) presented an overwiew of data-driven approaches in corpus linguistics (collocation statistics, machine learning approaches) in an attempt to detect lexico-grammatical and syntactic changes between Modern and Present-Day English. Finally, Prof Jennifer Smith (University of Glasgow) addressed the issue of bidialectalism by investigating a previously monolectal, now bidialectal, community of speakers in northeast Scotland. She provided a quantitative analysis of phonological and morphosyntactic variables in order to test how these speakers manipulate their linguistic repertoires across different levels of grammar in contexts both within and beyond vernacular use. Funding for this event came from the LVTC research group, the ELC research network (both funded from Xunta de Galicia), and the English Department, the PhD programme in ‘Advanced English Studies’ and the Social Council of the University of Vigo. The Department of Culture of the Vigo City Council supported the celebration of the conference in the MARCO museum.